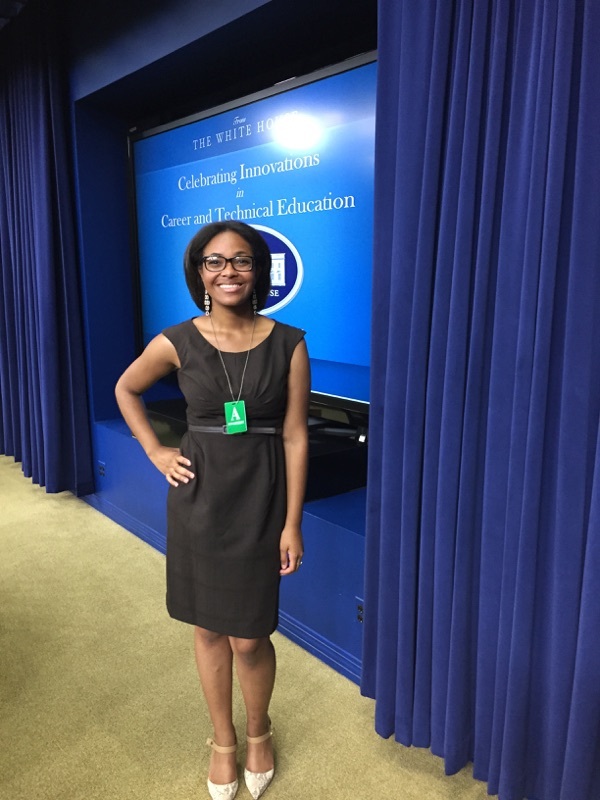 Aubrey Gray, a student in the Teaching Professions Program through Eastland-Fairfield Career Center, was in Washington as a representative of Educators Rising at a national conference. Activities included a trip to the White House where First Lady Michelle Obama spoke about education policies and reform. Gray said the trip and conference reinforced the value of the Teaching Professions Program, which gives students interested in teaching careers first-hand, hands-on experience in the profession. Gray said the program is a highly applied approach to learning, not dissimilar to the philosophy behind student teaching experiences for college students. “I am really blessed to be in a program like this,” Gray said.